The recipients of the Australian Men’s Shed Association’s National Men’s Shed Awards were announced as part of 2017 Men’s Shed Week, which was closed at the Cabot’s 7th National Men’s Shed Conference earlier this month. The awards, which return after a few years on hold, recognise Men’s Sheds going the extra mile, and for innovation in the shed. “Men’s Sheds all do amazing things. Our National Men’s Shed Awards are an opportunity for us to celebrate the very special or unique achievements of Men’s Sheds,” said David Helmers, Australian Men’s Shed Association Executive Officer. The awards recognised Men’s Sheds across five categories, after nominations were submitted earlier this year. Peter Quinane, the President of Menshed Wagga Wagga was on hand at the National Men’s Shed Conference to accept their award for Shed of Year. Menshed Wagga Wagga started as an idea in 2009, and now has a membership of over 150. The shed was all but completely destroyed by fire in 2011, but in 2013 was rebuilt to become even bigger and better than the original with the support of the local council and other Men’s Sheds nationwide. “Our shed is the sum of all members and their abilities plus a generosity in sharing anything and everything we can,” said Peter. Menshed Wagga Wagga offers a vast array of activities, including the usual suspects of woodwork and metalwork plus gardening, bee keeping, lead lighting, recycling, a 2000+ book library, photography and fermented beverage appreciation to name but a few. The shed is deeply entrenched in the Wagga Wagga community. Also on hand to collect awards for Unusual Fundraising Activity and Best Shed Garden were Vice President Bob Stemp (Marlin Coast Men’s Shed) and President Peter Torenbeek (Cessnock Men’s Shed & Community Garden) respectively. Marlin Coast Men’s Shed took fundraising by sausage sizzle to new heights at the World Mountain Bike Championships held in Cairns last year. The Downhill stage of this event follows a downhill track through seemingly impenetrable rainforest, across massive rock fields, over buttress tree roots and mountain creeks, a virtual free-fall from top to bottom. Riders travel in excess of 80 kilometres an hour down this track and it is a huge spectator event in this glorious rainforest setting. Hundreds of people spent hours trudging up the rainforest covered hills to reach the very best spectator point. Upon reaching this point, spectators were assailed by the smell of frying onions and barbecued snags. There they were, the Marlin Coast Men’s Shed, barbie, tables and Eskies propped among the giant rainforest trees, all set up with cold drinks and hot food. At Cessnock, on top of a diverse range of typical shed activities, the Men’s Shed & Community Garden boasts 43 garden beds complete with underground watering. The members at Cessnock Men’s Shed & Community Garden have been recognised for their horticultural efforts by council and at the local show – winning multiple awards and acting as a key site for preserving and promoting biodiversity in the region. The shed grows summer and winter crops, where 90 per cent of produce comes back fresh to all shed members with excess sold at a local fruit shop. Awards were also presented to Tintinara Men’s Shed (Unique Recycling Activity) and Benalla Aviation Group & Men’s Shed (Unusual Shed Activity). Tintinara Men’s Shed was awarded for the clever use of their own shed to recycling replaced corrugated iron by making raised garden beds. This idea has become a key activity and source of income for the shed. Benalla Indoor Aviation Group & Men’s Shed was awarded for the restoration of a Tiger Moth Aircraft VH-FBO that was crashed at Goolwa (South Australia). 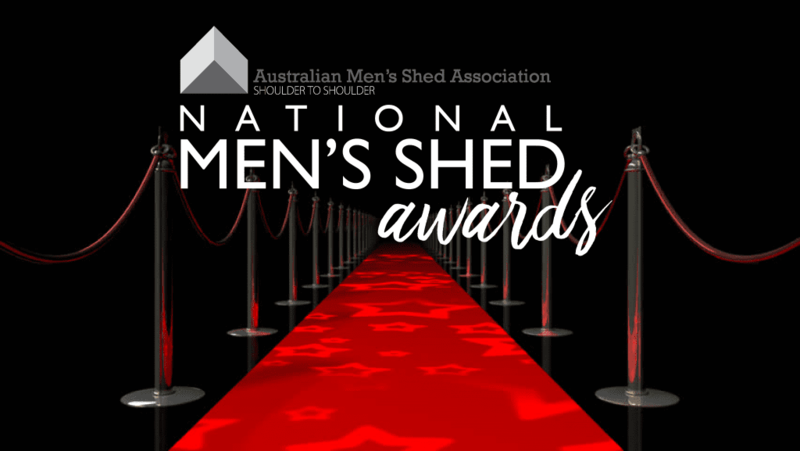 The National Men’s Shed Awards will return in 2019, and will be presented at the 8th National Men’s Shed Conference.